Our family of brands offers an array of product options that appeal to a broad cross section of consumers. Kentucky Legend® meats are made from time tested recipes. Our Whole, Half and Quarter Sliced hams are cured in their own natural juices, double smoked for a perfect, mellow flavor every time. 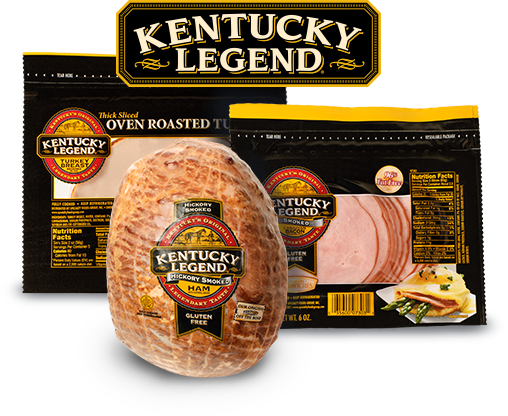 Our Kentucky Legend product line includes Smoked Turkey Breast, Center-Cut Choice Pork chops and our delicious sliced Sandwich meats. Our focus on delivering great tasting meats is why our Whole Hams and Turkey Breasts are the largest selling products in their class in the United States. And as so many of our customer’s know, Kentucky Legend products aren’t just for special occasions, they’re also great for everyday meals. Make Them Your Everyday Tradition. 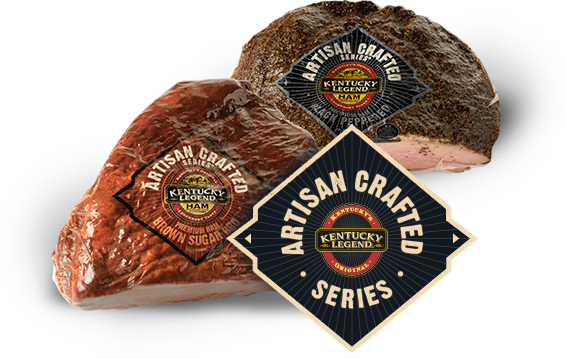 Artisan Crafted Series® Hams are our newest entry to the marketplace. They are perfect for today’s modern consumer with both high quality and price point in mind. Our trend forward packaging and our single muscle, smaller cuts create a distinctive product in any retail environment and fit the needs of today’s family. 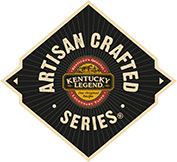 Artisan Crafted Series listened to our consumers and have created Hams, Sausages and Lunch Meats with unique flavor profiles such as, Honey, Brown Sugar BBQ and Black Pepper. Stay tuned for more distinctive flavors. We’ve been making Field® products in Owensboro, Kentucky for over 100 years. Combine our experience with select cuts of meat, natural spices and delicate seasoning and the result is the makings of a great family meal. 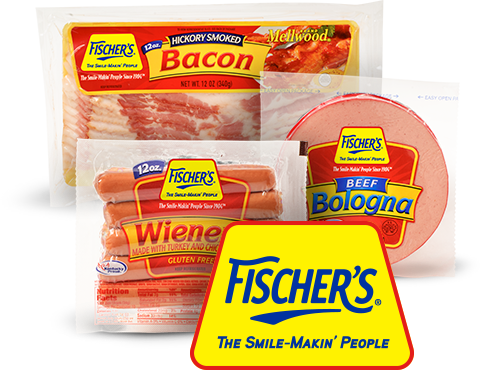 Try our perfectly seasoned Bologna, Lunch Meats, Franks and plump Wieners, crispy Bacon and savory Pork Burgers. You can taste tradition in every bite! 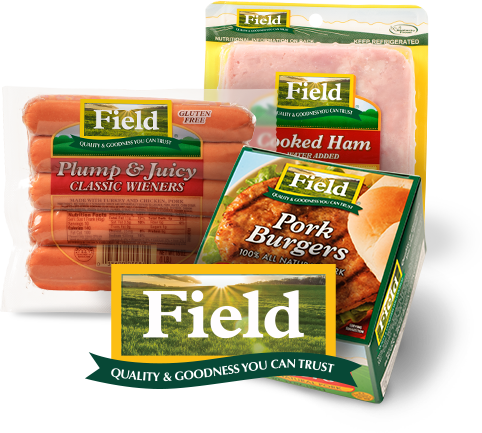 Field, Quality & Goodness You Can Trust. If you’re from Chicago then you probably know Scott Pete as “The Flavor of Chicago”. 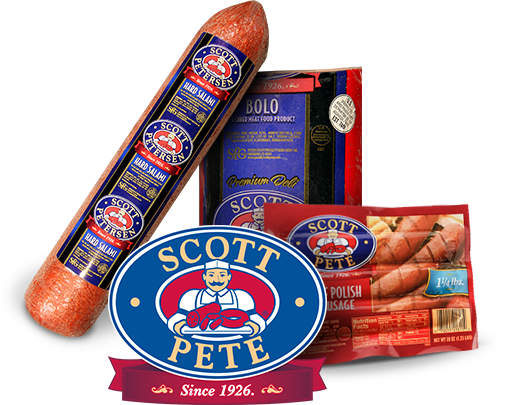 Prepared in small batches and following century-old methods, Scott Pete smoked and polish sausages, deli meats and Chicago-style hot dogs are known as the flavor of the Windy City by loyal customers across the nation. Seasoned by hand with a unique spice blend, you know you are enjoying a true tradition after just one bite. 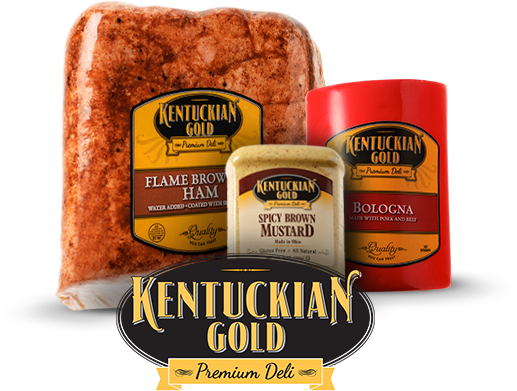 Kentuckian Gold Premium Deli meats reflect the quality and tradition of years of dedication to old-fashioned values and a simple formula for success. Our product line includes, traditional Loaves, Bologna, Ham, Turkey, Roast Beef, Cheese and Condiments. Our extensive line of smoked and baked ham including, Black Forest Ham, Brown Sugar Ham and Virginia Ham are hand-selected from premium stock for maximum flavor and leanness. A Taste That’s Good as Gold. 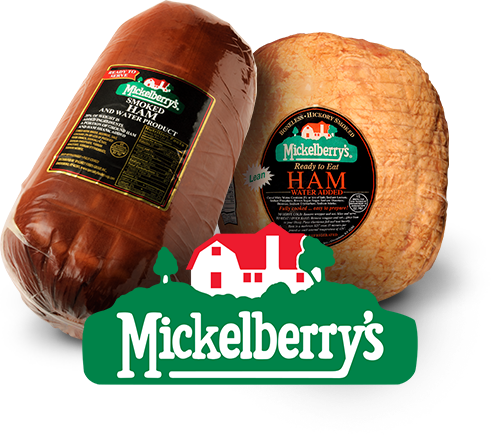 Founded in Chicago in 1893, Mickelberry’s® grew throughout the Midwest, offering a full line of processed meats. As time passed, they focused their attention on what they made best, value-added hams! Each whole ham is chisel boned for the bone-in taste without the waste. And by staying true to old-fashioned curing and smoking methods, Mickelberry’s delivers a consistent flavor customers have enjoyed for years. No nonsense, just great ham!